Sacred masterworks performed in recent seasons include The Creation (Die Schöpfung) by Franz Joseph Haydn; Requiem Mass settings by Johann Brahms, W.A. Mozart and Guiseppi Verdi; Mass settings by Charles Gounod, Ethel Smyth, and Amy Beach; and Te Deum settings by Zoltan Kodaly and Anton Bruckner. ​MCC has performed unique and eclectic works such as Paul McCartney's Liverpool Oratorio and Benjamin Britten's Rejoice in the Lamb; and presented programs entitled A Civil War Portrait with musicians Cristina Seaborn and Paul Imholte; The Emerald Isle-with collaborative guests Ring of Kerry; The Reluctant Dragon ­– a free family concert held at The East-Side Boys and Girls Club; When Music Sounds -composed by Roger Towler and performed with the Bethlehem Strings; and We Remember – a memorial concert for 9/11 with the Land of Lakes Choirboys. Lighter concerts include Postcards From Minnesota, with special guests St. John's Boys' Choir; Let's Go to the Movies! ; A Broadway Valentine; and concerts with the St. Cloud Municipal Band - From Sea to Shining Sea, a concert to honor war veterans, and I Hear America Singing, a patriotic concert. Past residencies include St. Cloud native Flannery Cunningham with the premiere of Nightlines, composer Caleb Wenzel with the premiere of the MCC commission of Psalm 150, a premiere of the commissioned work Songs of War and Peace by Judith Shatin, Korean American composer Yung-wha Son with Song of Diaspora, English composer David Fanshawe and a performance of his African Sanctus, and Mary McAuliffe from Ireland for a performance of her Return to Old Ireland. 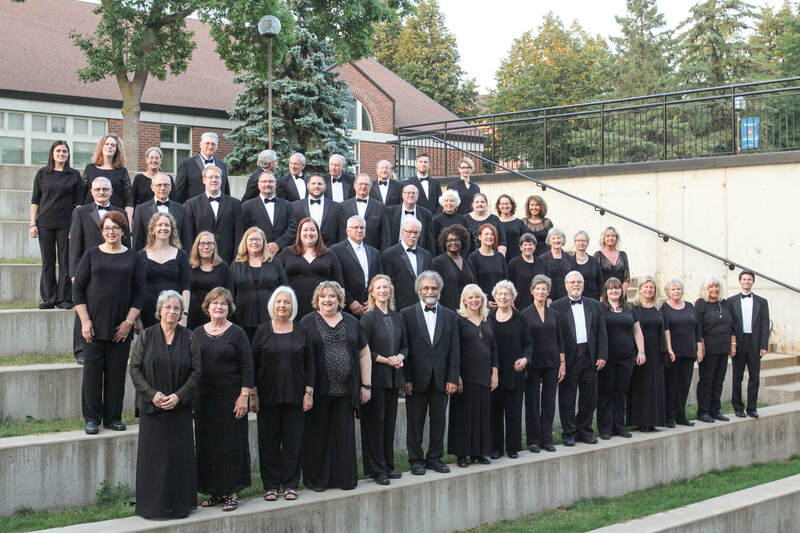 Minnesota Center Chorale continues to seek ways to bring the art of choral singing to central Minnesota in unique and inspiring ways. We hope to see you at a future concert and to leave you with a moving and fulfilling musical experience. ​Sean Jacobson is excited to be entering his third year as accompanist for the MCC. Jacobson graduated from Saint John's University in 2013 with a degree in Instrumental Music Education, studying piano with Dr. Ed Turley and trumpet with Dr. Dale White. He remains an active pianist and trumpeter, regularly playing with numerous groups in the region, including the St. John's Boys' Choir, Amadeus Chamber Symphony, St. Cloud Symphony Orchestra, GREAT Theatre, Curtain Call Community Theater, and Great Northern Theatre. He also has experience as a liturgical musician, having served as organist for a number of churches and regularly playing trumpet at St. Mary's Cathedral. Sean is in his fourth year teaching elementary band for the St. Cloud Catholic Community Schools. *MCC is currently seeking 1 or 2 new Board members with energy and vision! ​If you would like to be considered for the Board of Directors, please send an inquiry email to: mcc.coordinator@gmail.com.